Just a few Babbles to share! I am so happy this post with my recipe for chicken mole finally published over on Babble – I’m really proud of it! We call it Timon and Pumbaa’s Mud Chicken for fun. 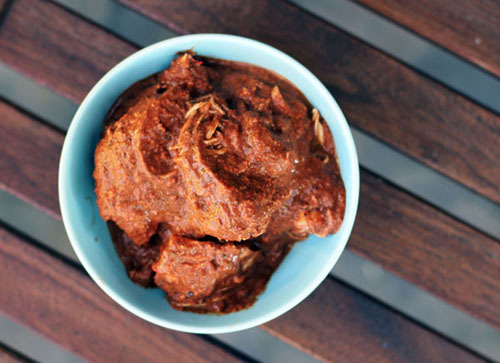 The mole is deeeelicious, easy to throw together (uses the crock pot) and healthy. And it’s not too hot, so kids can eat it too. If you want to order dessert for Thanksgiving, here is a list of gourmet retailers with some delicious looking items! And you still have time to order from most of them for Thanksgiving! That’s all I’ve got. I’m furiously trying to get everything ready for our house guests and to kick off a week of FUN! As always, please share whatever you like!